From kitchen cupboards across North America to Andy Warhol’s colorful pop art, the Campbell’s Soup brand has become synonymous with American culture. But as the iconic brand – which represents the ethos of mass production in the 20th century – moved into a new era of manufacturing, the company wanted to “reimagine” its culture and improve the way teams worked. After surveying the staff, the century-and-a-half-old company set off to enhance communication. This was the first step for teams to work better and embrace a modern upbeat spirit. Just as Campbell prides itself on being a household name, the company decided on a platform that was already familiar to more than two billion people. But this time, it was fitted for office productivity: Workplace by Facebook. Because 70% of Campbell employees already knew the tools and ecosystem of Facebook as a social media channel, adoption of Workplace led to twice as many people engaging and reading internal communications. “Campbell is more connected than we’ve ever been,” said Kristin Ennis, senior manager of employee communications at Campbell. Internal comms has improved in three ways, the company said. First, employees who are out on the road visiting stores or meeting customers can report back to HQ through Workplace Chat even on their mobile. Second, employees can chronicle meetings and events at work, tag people, and stay connected all through Live Video. Anybody who misses out can catch up and watch at a later time. Third, teams can collaborate, share documents, and update each other through a combination of Workplace Chat and Groups, in the same way people who join Facebook Groups for personal use become part of a community. With GIFs and Like/Reaction buttons, the platform reflects the same friendly vibe of Facebook in a workplace setting. 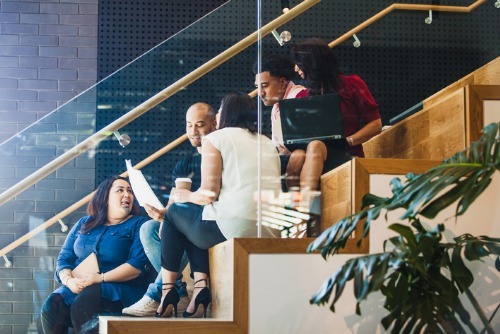 As the office culture became more collaborative, Campbell witnessed an increase of 243% in employees’ overall connectivity.